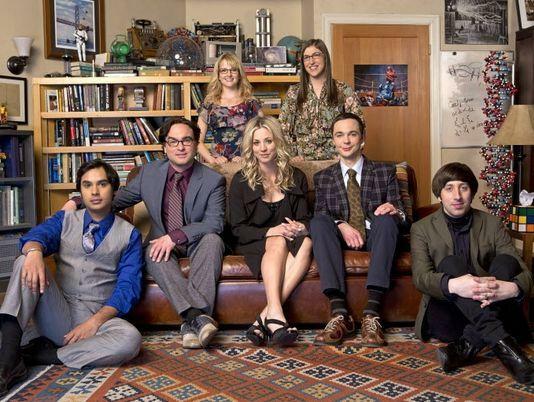 Since 2007, “The Big Bang Theory” cast has brought us laugh after laugh with a geeky take on sitcoms. The sixth season did not disappoint with hysterical scenes and a hilarious cast. This season we find the characters reaching pivotal moments in their lives, primarily in their relationships. Audiences really get a glimpse of how the characters have grown, and how they learn to face the challenges they come across in a comedic way. Howard (Simon Helberg) and Bernadette (Melissa Rauch) are married facing life as newlyweds, and, of course, the wrath of Howard’s lonely mother. Leonard (Johnny Galecki) and Penny (Kaley Cuoco) are on-again facing Penny’s commitment issues and Leonard’s eagerness to take their relationship to the next level. Sheldon (Jim Parsons) is coping with Amy’s (Mayim Bialik) need for a more intimate relationship, and Raj (Kunal Nayyar) has finally found a girl with as much social problems as him to date. Much of what makes this show work is the fantastic cast. Parsons in undoubtedly the standout amongst the cast with his quirky portrayal of Sheldon, whose shenanigans keep viewers wondering what he will or say next to make us laugh. “The Big Bang Theory” would never pull together without the rest of the cast, who create unique personalities for their characters, setting the sitcom apart from others on primetime television. That said, Parsons definitely has a chance of taking home the Emmy for “Lead Actor in a Comedy Series”. He brought just the right amount of emotion to the usually robotic Sheldon, whose girlfriend is ready to take the next step. After years of on and off Baldwin wins, it is Parsons’ turn to win. Every teleplay in the series is well written and balanced between the screen times of the characters. There is never too much of any character, and the show is never predictable. Every episode this season kept viewers longing for more than just 30 minutes of comedy, and that is what makes the show so great. Although, it will be difficult for “The Big Bang Theory” to take the Emmy from “Modern Family”, it is not unlikely. The sitcom has definitely put up a strong fight against the long-time category champs, and could be the surprise of the evening.